Alberta McCullough Johnson, 97, of Pelzer, died Saturday, December 31, 2016 at McCall Hospice House, Simpsonville. She was born in Anderson County and was the daughter of the late Hayward Butler and Maggie Brezeale Butler. She was a member of New Forksville Baptist Church. Surviving are daughters, Bobbie Henderson and Vanilla M. Bell; sons, Emanual McCullough, Johnny Ray McCullough, Daniel McCullough, Jessie McCullough, and Roger McCullough; 21 grandchildren; 30 great-grandchildren; and 15 great-great-grandchildren. Funeral services were held January 5 at New Forksville Baptist Church. Burial followed in the church cemetery. PELZER – Frances Camilla Reid Holder, 86, wife of the late Tillman “Bud” Holder, passed away Wednesday, January 4, 2017. Born in Piedmont, she was a daughter of the late Gilford Lee and Leona Gillespie Reid. She was formerly employed with J.P. Stevens. She is survived by sisters, Pauline “Polly” Clardy of Pelzer and Betty Faye Tinker of Rock Hill; grandchildren, Valerie Scott and Greg Holder; five great-grandchildren; one great-great-grandchild. She was predeceased by son, Lewis T. Holder; four brothers; three sisters. Visitation was from 1:00 to 2:00 pm Friday, January 6, at Gray Mortuary, Pelzer. The service followed at 2:00 pm in the mortuary chapel with burial at Greenville Memorial Gardens. Memorials may be made to Hospice and Community Care, P.O. Box 993, Rock Hill, SC 29731. PIEDMONT – Mary Jo Kay Wilson, 82, of 302 Shiloh Road, Piedmont, SC passed away peacefully on January 6, 2017. Born on May 6, 1934, she was the daughter of the late Robert Lee Kay and Clara Opal Church Kay. She graduated from Anderson Girls High and attended Winthrop College. She was a member of Clearview Baptist Church in Anderson. Mary Jo grew up on the Kay family farm in the Broadway community of Anderson County. Though she was the only child she had a large extended family of many uncles, aunts, and cousins in the Kay and Church families and she loved them all dearly. She was a homemaker, a caring wife, mother, and grandmother. She was an incredible cook and baker. She loved flowers and gardening and worked with her Daddy and Mama at Kay’s Plants and Flowers for many years. An avid antique collector, she owned and operated James Towne Antiques in Anderson for 15 years. Her idea of heaven on earth was Edisto Island and she spent as many days as she could there. She is survived by her loving husband of 60 years, James Coleman Wilson, Jr. Her four children, who will love and cherish their memories of her forever, Angela Wilson Boggs (Randy) of Piedmont, Danny Coleman Wilson of Anderson, Robert Dirk Wilson (Lisa) of Anderson, and Jamey Kay Wilson of Piedmont. Her grandchildren were her pride and joy. As they grew up, she was always there for them. Participating in all they were involved in, so proud of their achievements in life and their families. Grandchildren Matthew Wilson (Ashley), Trevor Boggs (Magan), Caitlyn Boggs, Lindsay McCauley (Jeremy), Tyler Wilson, Megan Wilson and Cassidy Wilson. She is also survived by great-grandchildren Justin Wilson, Tanner Boggs, Brayden Clardy, Molly Cate Boggs and Avery McCauley. The family also wishes to express their appreciation to Kelli Holland and Ann Jones for the love and care they provided for her during the past year. The family received friends and celebrated her life on Tuesday, January 10, 2017, 2:00pm – 3:30pm at Wilson Farm, 300A Shiloh Road, Piedmont, SC 29673. The families are at their respective homes. 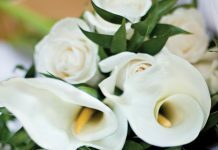 In lieu of flowers, memorials can be sent to Hospice of the Upstate, 1835 Rogers Road, Anderson, SC 29621. Gaynell Fields Brooks, 72, of Anderson, died Tuesday, January 3, 2017. Born in Anderson, she was the daughter of the late Joe and Leora Banister Fields. She was a member of Varennes Heights Baptist Church. Surviving are daughter, Melinda Wheeler; one grandson; two great-grandchildren, all of Anderson; and brother, Donnie Fields, of Piedmont. Graveside service was held Friday at Bethany Baptist Church Cemetery. Memorials may be made to Juvenile Diabetes Research Foundation at www.jdrf.org. Susie Ann Woods Nabors, 69, of Piedmont, widow of James Harold Nabors, died Friday, January 6, 2017 at her home. Born in Anderson County, she was a daughter of the late Hubert and Ethel Blanchelte Woods. She was a homemaker. Survivors include son, Nicholas Nabors of the home; daughters, Patricia Ramsey and Linda Leary all of Piedmont, Susie Burton of Greenville; three grandchildren; three great-grandchildren; and sister, Geneatte W. Wilson. The funeral service was held Tuesday, January 10, at Oak Grove Baptist Church with burial following in the church cemetery. Viola Mae Bennett Moore, 99, of Pelzer, died Saturday, January 7, 2017 at her home. Born in Forsythe County, GA, she was a daughter of the late Noel Cleo and Annie Viola Taylor Bennett. She was retired from Michelin and a member of Cedar Falls Baptist Church. Survivors include sons, Jimmy Allen Moore of Fork Shoals and Harley Michael Moore of Fork Shoals; three grandchildren; six great-grandchildren; three great-great grandchildren; and sister, Thellie Segers of Pelzer. Funeral service was held Tuesday in the Chapel of Gray Mortuary, Pelzer. Burial followed at Greenville Memorial Gardens. Memorials may be made to Cedar Falls Baptist Church, 100 Cedar Falls Road, Fountain Inn, SC 29644. The family is at 460 Berry Road, Pelzer. PELZER – Stanley Ward (Smiley and Sunshine), 66, husband of Shirley Chappell Ward, left to see Jesus on Sunday, January 8, 2017. Born in Simpsonville, he was the son of the late Earl Ward and Bobbie Jean Alverson Woods. He was formerly employed with Fiber Industries and a member of Calvary Baptist Church. His life passions were reading God’s word before bed and praying and spending time with family and friends. Fishing was his game. He was the lead guitar player for the Tombstones back in the days of “The Battle of the Bands,” and he won too! He loved to chop tops on VW’s and the aliens on the History Channel were his favorite. He loved planting stuff just to watch it grow; ivy and ornamental peppers were his favorites. He also loved to watch butterflies and hummingbirds. Surviving in addition to his wife are children, Stephanie Raines (Todd) of Pelzer, Seth Ward (Kourtney) of Greenville, Brian Ward (Tiffany) of Pelzer, Brittany Marie Ward of Pelzer; sister, Vickie Jean Talley of White Pine, TN; six grandchildren; five great-grandchildren. Visitation will be from 11 a.m. to noon Thursday, January 12, at Calvary Baptist Church with the funeral following at noon. Memorials may be made to Calvary Baptist Church, 10 Academy St., Williamston, SC 29697 or to Open Arms Hospice, 1836 West Georgia Road, Simpsonville, SC 29680. Oletha Williams, of Williamston, died January 1, 2017. She was a member of New Hopewell Baptist Church in Belton. Family and friends gathered on Sunday, January 8, 2017 to celebrate her life at the Roosevelt Thompson Memorial Chapel of the Unity Mortuary of Williamston. Joyce McCullough, age 82, passed away Monday, January 9, 2017 at the Mayfair Manor Nursing Facility, located in Lexington, KY.
Joyce was born January 14, 1934, in Greenville, SC, a daughter to the late Earl and IvaDell (Sanders) Spearman. She was a pastor’s wife, who worked beside her husband the pastor of Pine Grove Baptist Church. She dedicated her life to serve and take care of others, and always put others needs before her own. She is survived by 2 daughters; Cathy (Russell) Sizemore of Lexington, KY, and Brenda (Bud) Ownbey of Anderson, SC, 2 sons; Earl McCullough of Lexington, KY, and Mike (Tanga) McCullough of Jackson, TN, 2 sisters; Jewel Sullivan and Lula Mae Major, both of South Carolina, 8 grandchildren, 4 great-grandchildren, and many other loving family members and friends. Along with her parents, she was preceded in death by her husband; Paul McCullough, and 2 brothers; Paul Spearman and Jim Spearman. www.boonevillekyfuneralhome.com. The Booneville Funeral Home in charge of arrangements. PIEDMONT – Grady E. Allen, 72, passed away Tuesday, January 10, 2017 at his home surrounded by his family. Born in Anderson, he was a son of the late James Bennett Allen and Clara Bell Lee. He was a retired truck driver with Winn-Dixie Warehouse. He is survived by daughter, Christie D’Ornellas and husband, Mike, of Easley; sister, Doris Hart of Simpsonville; grandchildren, Mikey D’Ornellas and wife, Jessi, Josh D’Ornellas and fiancé, Chelsea Oliver, Matthew D’Ornellas and Emily D’Ornellas; great-grandchildren, Blakely, Lawson and Kyleigh D’Ornellas. He was predeceased by brothers, Roger and Jerry “Chigger” Allen. Visitation will be from 6:00 to 8:00 pm Friday, January 13, at Gray Mortuary, Pelzer. The service will be held at 1:00 pm Saturday, January 14, in the mortuary chapel with burial following at Greenville Memorial Gardens. Wanda Dunn Pritchett, 54, of Williamston, died on Sunday, January 8, 2017. Born in Hartwell, GA, she was the daughter of the late W.C. and Lois Dunn and the wife to Steve Pritchett. In addition to her husband, she is survived by her children: Matt, Zach, John-Michael, and Lakan Pritchett, and two grandchildren. Funeral services will be held on Thursday, January 12 at Sosebee Mortuary South Chapel at 6pm. Visitation will take place prior to the service at the Mortuary from 4pm to 6pm.